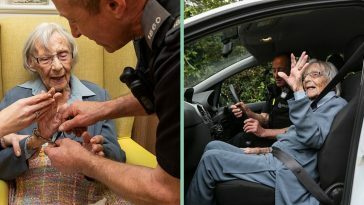 We love law enforcement here and what do we also love besides law enforcement? Funny stories. 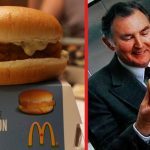 Now we have them both combined and this story is a serious knee-slapper. 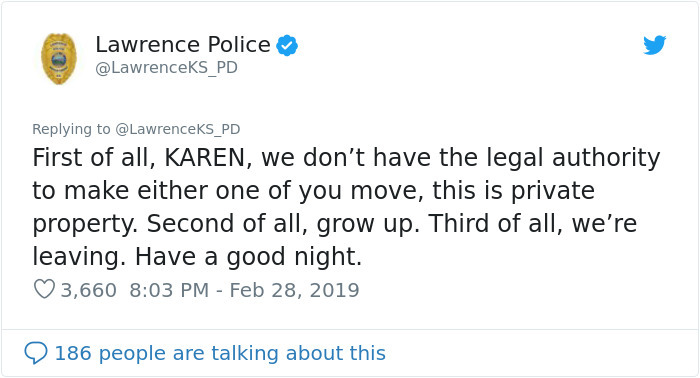 The Lawrence Police Department in Kansas state recently shared a funny story on their Twitter account of a call they responded to where two people wouldn’t move out of each other’s way. Yes, it’s a real thing. 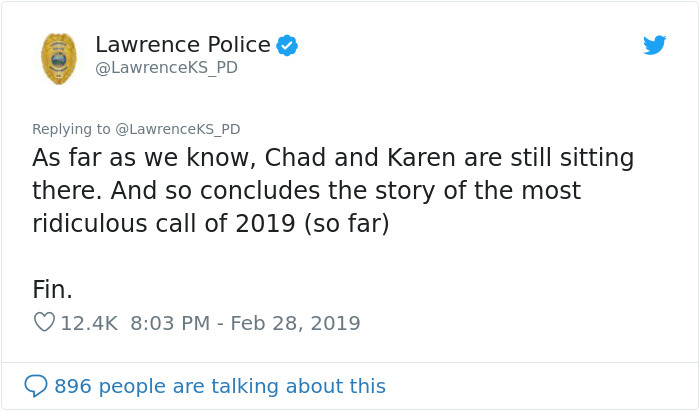 The two people involved are ‘Karen’ and ‘Chad’ and the thread on Twitter has been associated with the movie illustration for the 1994 film Dumb and Dumber. We aren’t kidding, and it’s hysterical. 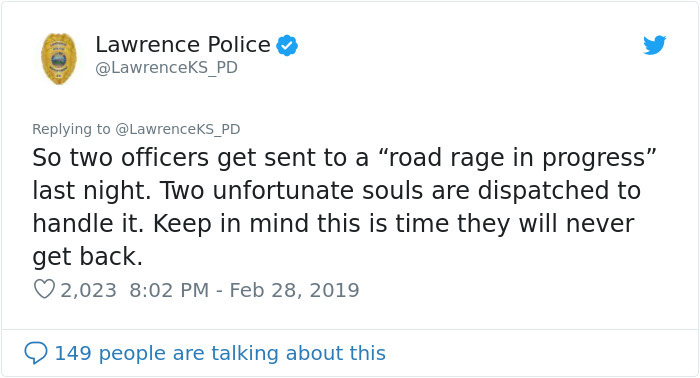 It starts out with police officers responding to a ‘road rage in progress’. Are you ready for this? They say that “two unfortunate souls” are dispatched to respond to the scene and to “keep in mind this is time they will never get back”. There’s really no big and exciting story behind this. 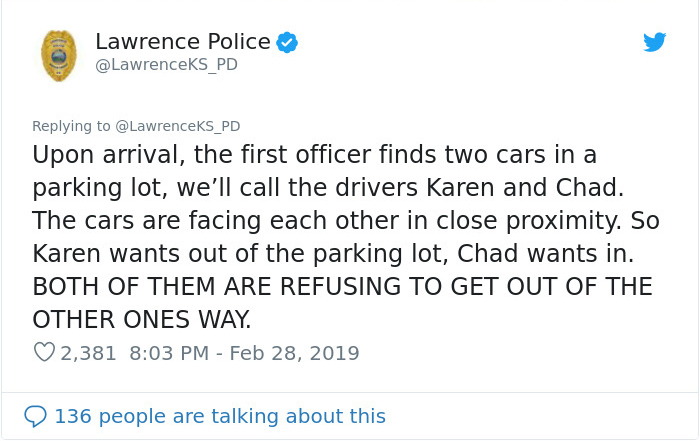 It’s just that Karen and Chad outwardly refused to move out of the way for each other in a parking lot. 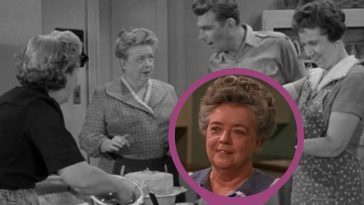 So, Karen decided that the best way to solve the situation was to call the police. 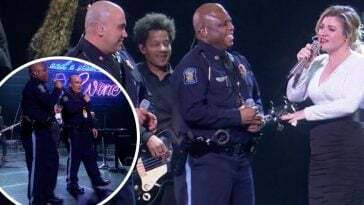 The Lawrence Police Department made it very clear how ridiculous the request for the police to be there actually was! 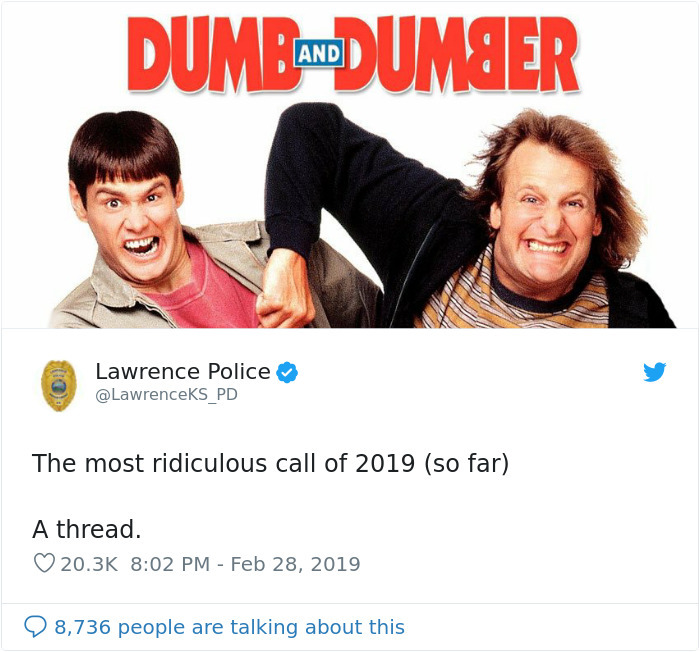 What Lawrence Police Department calls “the standoff of 2019” allegedly lasted for a whole 20 minutes before law enforcement actually showed up to the scene. Chad and Karen both insist that the other should move first. 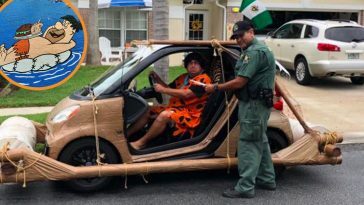 Oi vey. 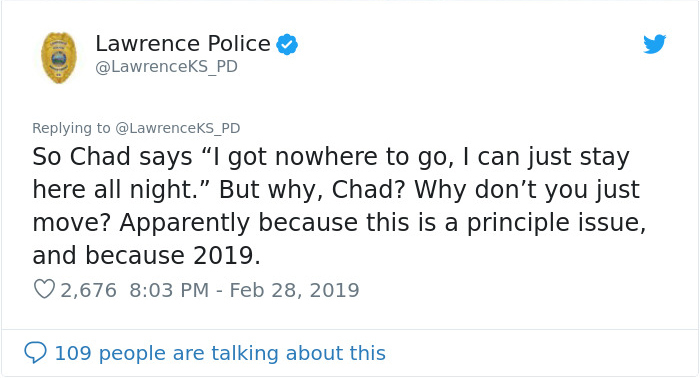 “I got nowhere to go, I can just stay here all night,” is not the right answer, Chad. And “Nope, I’m not moving. He can move,” is also not the right answer, Karen. 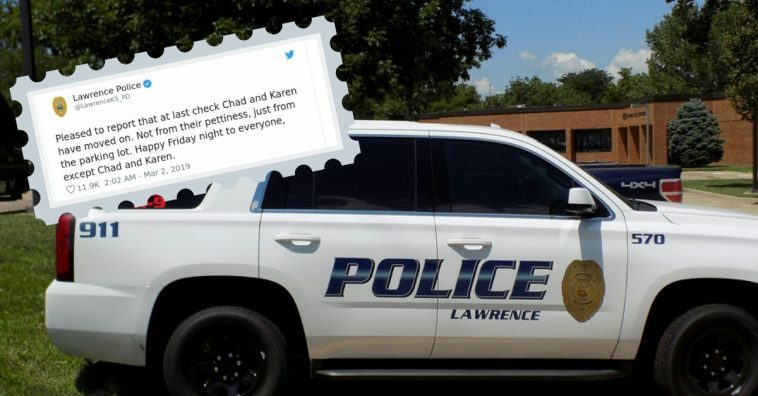 Karen additionally claims that she can’t back up because her vehicle is too large and she’ll crash it, to which Lawrence PD assured that she would’ve been just fine given her vehicle was a minivan. Emphasis on the MINI. 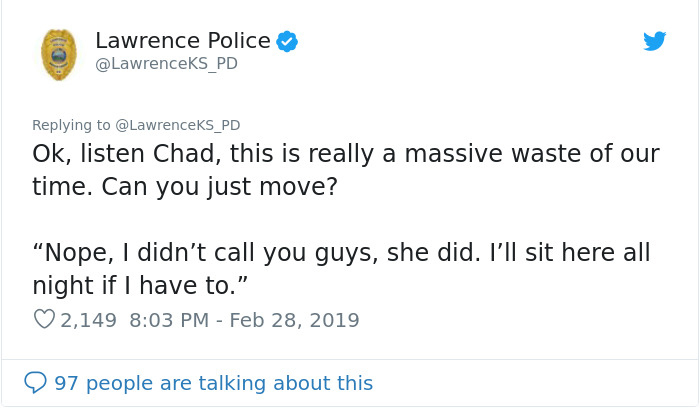 And Karen is just made the police can’t make Chad move first. 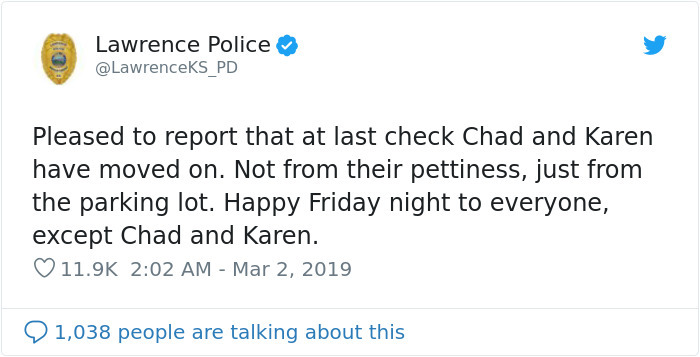 This is when the police just gave up and said goodnight… but they had a much more interesting way of saying that via their Twitter saga. 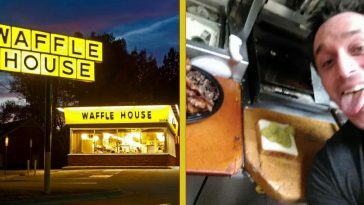 Legend has it that Chad and Karen still sit in the very same parking lot to this day, unable to work out their differences for whose car should move first. 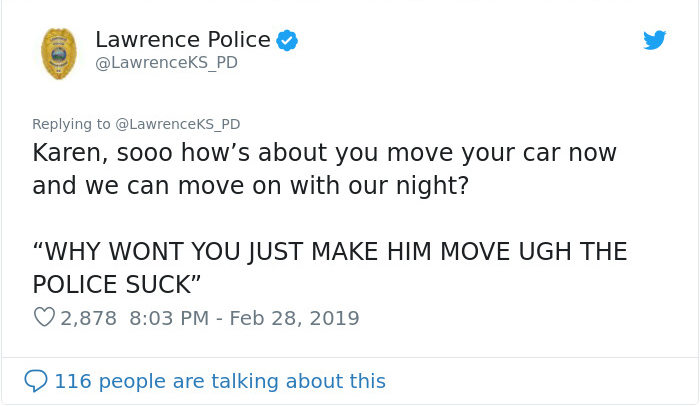 But Lawrence PD couldn’t help but follow up with a very sassy and hilarious update. Sorry, Chad and Karen, you don’t get a ‘goodnight’. 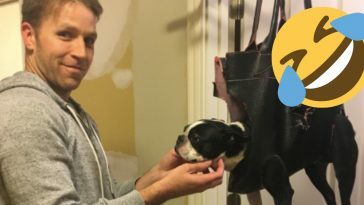 Did you get a good laugh out of this story? 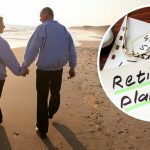 Be sure to SHARE this article if you did!